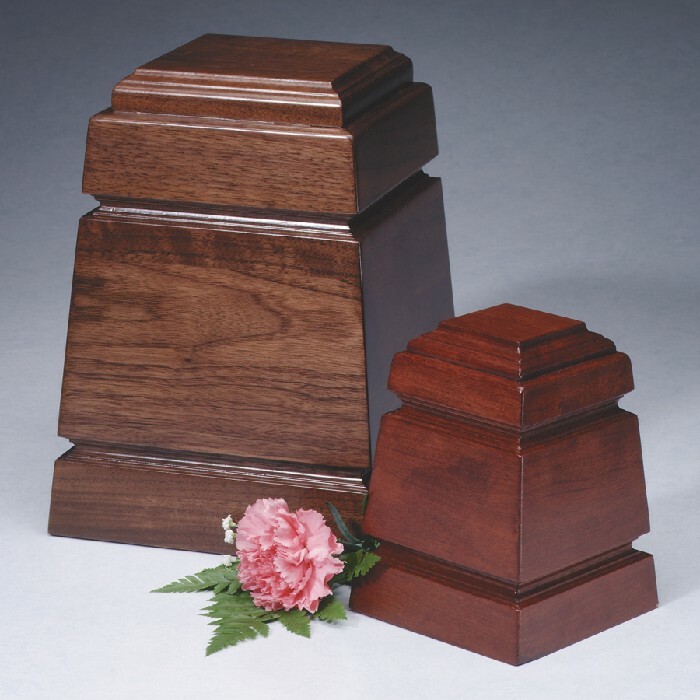 Characteristic of a style popular in the 1800's, this marvelous urn is available here in cherry* with a cinnamon stain or walnut with a dark mocha stain. Both with satin finish. Available in smaller size as well. You may want to consider an engravable brass plate for personalization of this truly unique urn. *Due to the nature of wood, colors and woodgrains will vary.